This website has been created in honor of our son Billy, who died on June 26, 2004, four days before his 29th birthday. It's about our grief over the death of a child, about what helped us recover, and about an amazing event which began to occur to us about 10 months after Billy crossed over to heaven. 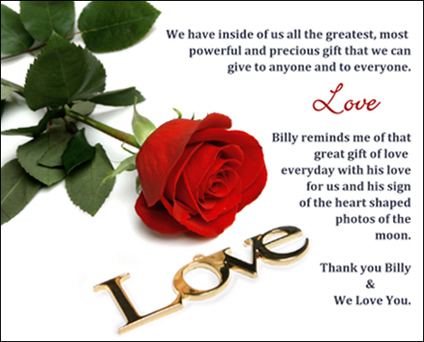 We have been able to receive many signs from Billy, mostly through photographs which you can see here. This website is for anyone who has suffered the loss of a loved one - or anyone who wonders what we as parents go through right after the death of a child. If you've ever wondered if you can communicate with loved ones after they crossover or if they can send us signs to say they are still close, the answer is "YES". PAPERBACK NOW AVAILABLE at Amazon.com! From Our Loved Ones In Heaven: "We are still with you." 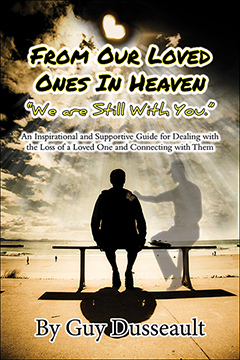 An Inspirational and Supportive Guide for Dealing with the Loss of a Loved One and Connecting with Them. Click here for more information and to purchase through Amazon.com. © Our Son Billy 2006 - 2015 All Right Reserved.